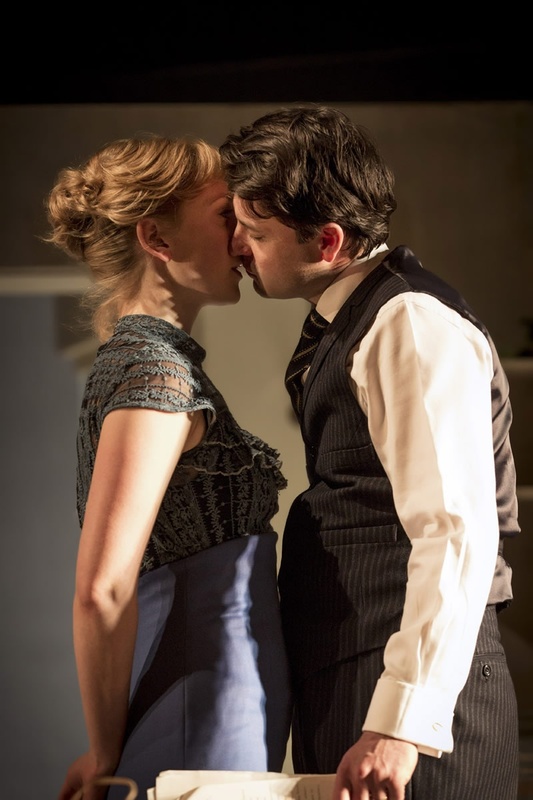 In 2012, The Young Vic told Hattie Morahan that she had got the lead part of Nora in Simon Stephens' adaptation of Ibsen's classic, A Doll's House. 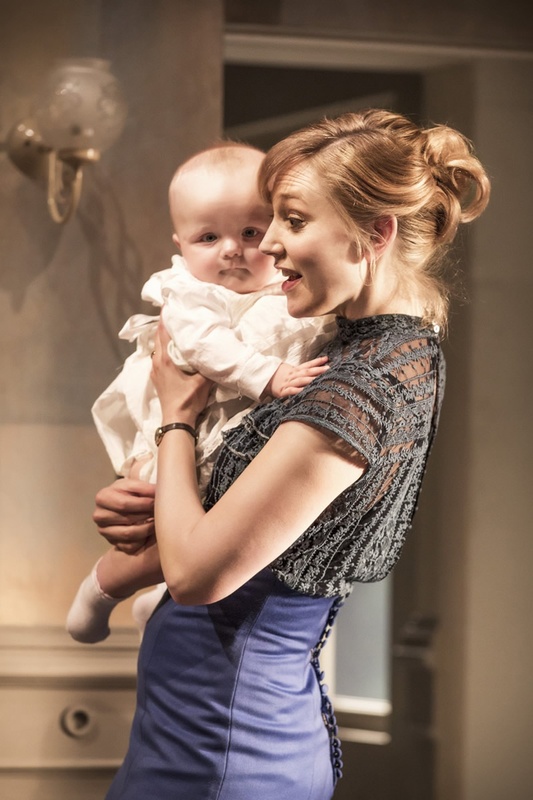 Two sell-out productions later, and two glittering awards for Best Actress heavier (at the 2013 Evening Standard Theatre Awards and Critics' Circle Awards), Hattie Morahan returns to the part for her West End debut at the Duke of York's (limited 12 week run only). Critics have said it's âa once-in-a-lifetime performance' (Sunday Telegraph) and that her Nora âelevates Morahan to the front rank of British actors' (Guardian). These are accolades indeed. Here, we ask the lovely Hattie some of the questions that have been burning us up. 1. How do A Doll's House and the character of Nora resonate today? I've been bowled over by how resonant the play is even now - obviously on the surface it's about a middle class woman's journey to emancipation in C19th Norway, but what emerges are utterly timeless and urgent questions about identity and human relationships. It seems to get to the crux of some really difficult dilemmas - how to be true to yourself and remain kind to your loved ones, how hard it can be to maintain real honesty in long-term partnerships, is it selfish to pursue your own happiness at the expense of others, what immoral or illegal paths would we be prepared to take in times of financial hardship. At first glance Nora seems so âother' and her attitudes so alien, but she's revealed in the action to be a product of both societal pressure and a particularly damaging upbringing - and tellingly, I still know a lot of women for whom a large part of their self-esteem or sense of success derives from how their looks are perceived, or how attractive they are to men. Even though a great deal has obviously progressed, there still seems to be a pressure within our society for women to distort themselves into a certain mould to be seen as successful. In short - I think the play is frighteningly resonant today! 2. Can you give us some insight into what it's like playing a Norwegian homemaker written in 1879? How does that context feed into your portrayal of the character and this production? Nora's idea of her value and purpose in life is so different from my own. In rehearsals, we researched the social landscape of 1870s Europe: there was this emerging middle-class, for whom the number of staff you were able to employ, and correspondingly the less housework the wife had to do, became a status symbol. So in pursuing the ideal, middle-class wives were discouraged from being a hands-on parent or from being a useful and valued housekeeper, and instead became the trophy-wife we think of today, with nothing to do but be charming and decorative. That, coupled with a dire lack of formal education, meant that a woman's options for self-fulfilment were pretty abysmal! Nora's social conditioning has been so absolute, and as we discover, her upbringing an almost grotesquely extreme version of this, that her actions in the play are in fact entirely natural. Ibsen writes so many clues into the text, and his understanding of human behaviour is so forensic and accurate, that our job largely consisted of putting the jigsaw pieces together! 3. Do you identify with Nora? Thankfully, I don't identify with her upbringing or squashed self-esteem, or her distorted and emphatic version of femininity - but I can identify with her emotions beneath the surface: namely her huge love for her husband and children and the lengths she'll go to protect them, and also her draw towards freedom. I think I share a similar knack for diplomacy, though hopefully not via her tactics of manipulation! And I'm in awe of her tenacity and resourcefulness and bravery. I also think she'd be a hoot to hang out with if she was in a naughty or provocative mood. 4. What has been the biggest challenge for you when taking on this seminal role? I grew up a tomboy, I've been lucky enough to have had a great education and gone to university, and I feel I've had a very gender-neutral upbringing, so it was always going to be a leap to get into the head of someone who has been told from day one: you are only of value if you look pretty and are charming, and that using your intelligence is inappropriate and unattractive. But that's the fun of acting! Outside of the work itself, I guess it was a bit daunting taking on such an iconic part, as you know there's going to be added scrutiny of your performance, but the appeal of the writing and the challenge of bringing her to life superseded that. 5. Nora's definition of freedom changes as the play progresses, from being financially secure to being personally independent. What do you see as the turning point in the play? The are several moments in the action when pennies start to drop, and she starts to see chinks in the facade of their marriage, but she's surviving such a stressful situation that she has no time to stop and reflect and draw conclusions. For me, the key turning point comes late in Act 3, when she witnesses her husband's series of responses to a major threat to his security. He's frightened and in a state of panic, but he unwittingly reveals his true attitude towards her and demonstrates a failure to understand her capabilities. This, in turn, leads her to examine everything she thought she knew, and the result is utterly explosive. It's an extraordinary scene, and exhilarating to play. 6. To what extent do you think that Nora's abandonment of the children is selfish or self-sacrificial? I think it's a bit of both. It's by no means an easy decision - in fact I think it all but breaks her - but I think she honestly believes that if she stays, she's do them more harm than good. She feels she has nothing of value to offer as a mother, and doesn't want them to unwittingly inherit the unhealthy emotional lessons and legacy she's carrying through from her own upbringing. 7. What is your attitude towards feminism and how does that impact your portrayal of Nora? I consider myself a feminist and think there's still a long way we have to go. But I feel it would distort the play to try and give it a 'feminist' angle. My job is to play the character and journey as written - warts and all - and to let the play speak for itself. At her moment of departure, Nora doesn't know she's being radical or iconic, she's just struggling to express herself and to do what she believes she needs to do, as a matter of spiritual survival. But it's Ibsen's framing of that journey, and the questions about identity and responsibility he poses to all the characters - both male and female - that make it such a powerful and rich and complex drama. It's certainly not a one-message piece, and it would be wrong to try and deliver it as such. 8. What do you think is the biggest problem facing modern feminism? There's progress to be made in many, many areas. Maybe it's because of the industry I work in, but I am acutely aware of the double standards and minefield surrounding the representation of women in visual media - how looks are linked with success, how ageism is rampant, how narrow and powerful the messages propagated by the beauty, music and fashion industries are. We're all vulnerable to its influence, and I think the harmful effects are pernicious and deeper than we realise. It's a very complex and contested moral landscape to bring young people up in. But I'm glad people are discussing it - and I hope this production will contribute to that. 8. Are there any parts and plays you're desperate to perform in? I want to do more Shakespeare, more Ibsen, more new writing. Anything that takes me into a place I've not been before. But it's a funny thing, acting, you have to submit to other forces - to hitch a ride on whatever ship happens to be passing. It's foolhardy to pin all your hopes on a particular role coming your way, so I try to be open, and embrace the uncertainty and lack of control as a positive - though it can be a pain when trying to book a holiday! 10. You've recently worked on the film, Summer in February. What are the main differences between working on the screen and stage? The rhythm of the working day, the differences in rehearsal time, the obscenely early mornings versus delightfully late nights! There's a higher pressure to come up with a 'definitive' performance within a designated time stricture when working on camera, whereas I rather embrace the slow-burn pace of theatre rehearsals, and then the opportunity to play a story from beginning to end every night, discovering new connections each time. But I think certain types of stories and storytelling are better suited to one medium over the other. I feel lucky when I can alternate working in both formats, as they exercise different muscles. 11. What drew you to this production of A Doll's House initially? A combination of the role, the play, Simon's extraordinary version, and working again with Carrie Cracknell, whom I think is brilliant. I'd also wanted to work at the Young Vic for a long time. All in all, it was an utterly dream job. They don't come around very often! 12. What has been your biggest highlight so far, and what are you most looking forward to in this West End transfer? I've been lucky enough to play some really meaty parts, and to work on a range of extraordinary plays with a lot of awesome people. 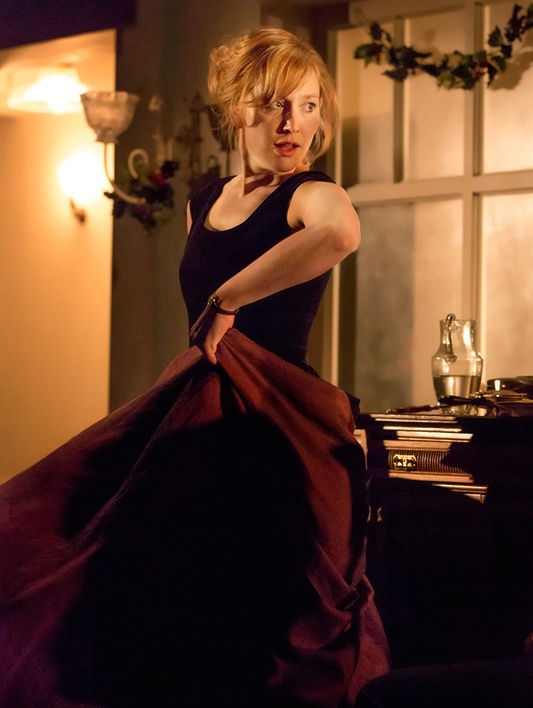 Susan Traherne in David Hare's Plenty is the only comparative role in which I've had to scale such emotional and tonal acrobatics - but Nora has definitely been the most stretching and exhilarating so far. It'll be a treat to finally have a longer run of the production - it's an amazing company, and we're still discovering new things every night. The play seems to speak to people in a very visceral way, and I feel honoured to be involved in delivering that every night.